Feel like shaking things up from your usual drip coffee/latte routine? Try a cortado! It’s somewhere between a bold espresso macchiato and a smooth, foamy cappuccino. Reminds me of the cafe con leche I used to drink every morning when I lived in Spain. Delish! 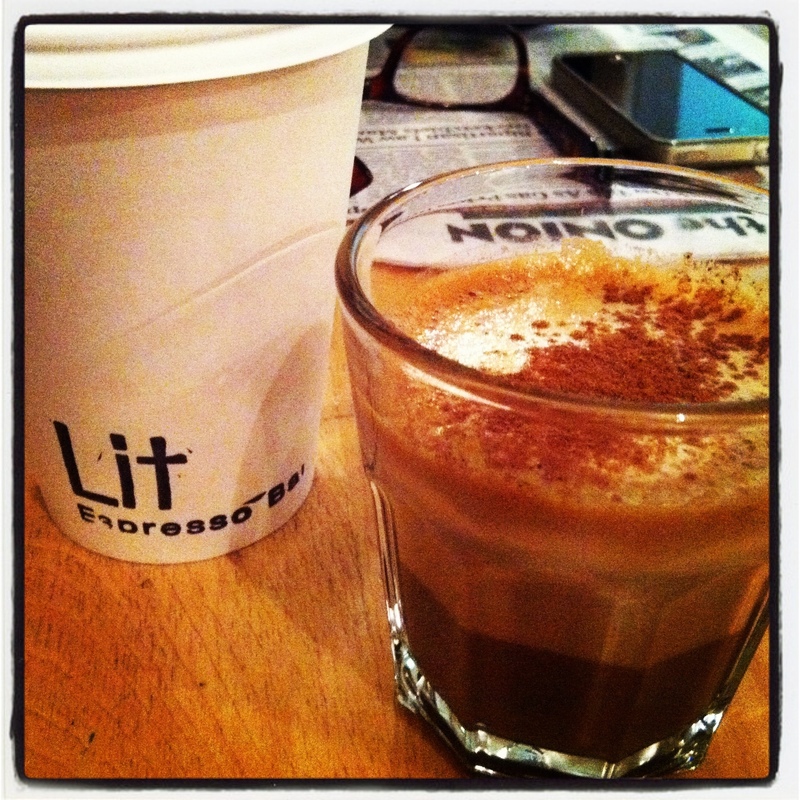 Cortado made with Soy @ Lit Cafe on College St…with a side of The Onion 😉 Perfect way to start the day.